South Boston’s Southern Plenty is a café that lives up to its name. Advertised as “nourishment for the body and mind,” the Main Street business offers a variety of southern-style menu items — and plenty of other choices as well. “I opened Southern Plenty eight years ago as a bookstore,” Mary Bagwell said. “Then I met my husband, Don, and expanded,” she added with a smile. She’s been adding new things ever since. A second-floor renovation currently is underway. Helping to fund the project was a $10,000 grant Mary received in the SoBo Start Up grant competition. The expansion plan includes more seating, a bakery for specialty cakes, a wine bar and a gallery for local artists. A small business owner for years, Mary had never written a business plan. For her, the plan was an eye-opener. In addition to food, Southern Plenty offers a variety of artwork, craft item and specialty foods. Although she’s not from the south, Mary designs her menu with southern palates in mind. “I also use a lot of local produce,” Mary added. Today the menu includes a root veggie stew. 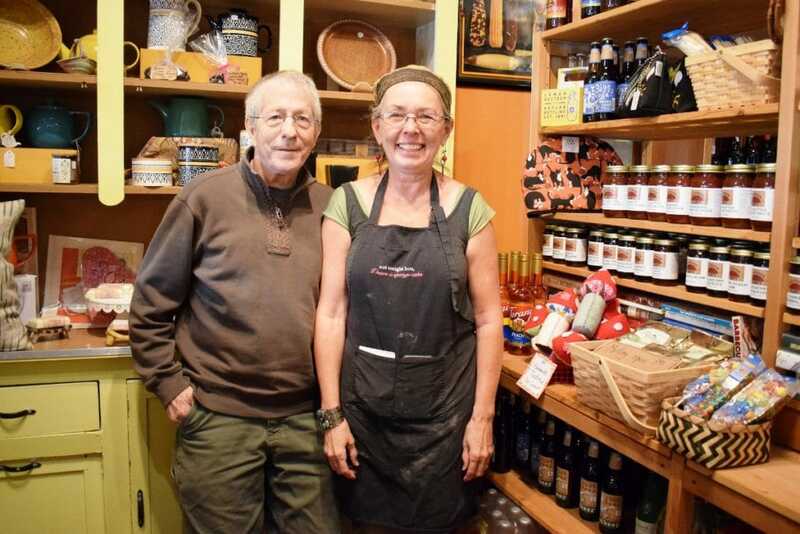 “I think the restaurant is successful because Mary is such an eclectic thinker,” Don added. Mary is excited about her upstairs bakery. Named “Pleasantries,” her new line will include cakes made to order, ice cream sandwiches featuring with homemade cookies, fine chocolates and fruit bouquets. While this product line seems assured of success, Mary noted that new ideas often come with risks. SBDC classes, Mary noted, helped her see her business growth. This year Mary expects Southern Plenty to realize a 15 to 20 percent increase in volume.